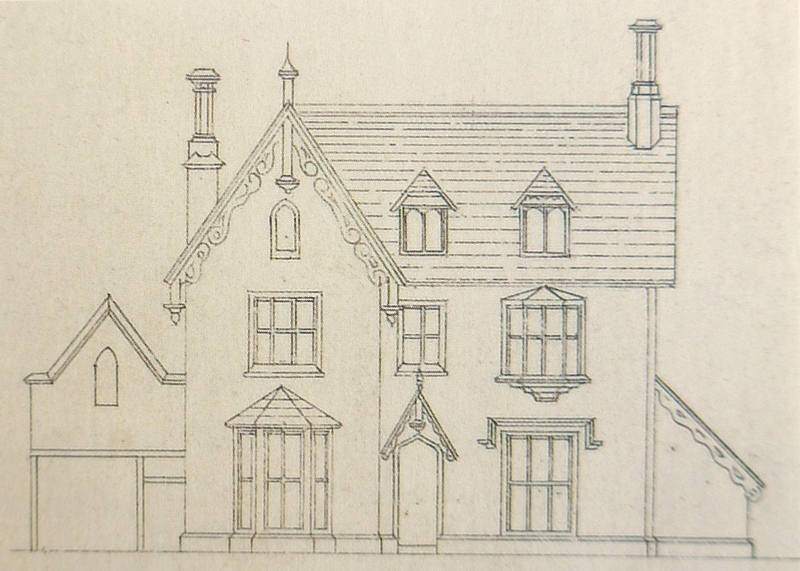 In April’s ‘MP of the month’ post Dr Philip Salmon highlights the career of a Tory builder dubbed ‘bricks and mortar’ Treeby, who helped build parts of St John’s Wood and London’s first underground railway. One of the more surprising aspects of researching the lives of MPs for the 1832-68 project has been the number of self-made men from non-élite backgrounds who were elected to the Victorian Commons. Often silent in debate but active behind the scenes, especially in the select committee inquiries that developed so dramatically in this period, these men get short-shrift in most accounts of 19th century Westminster. Prominent Liberal and radical MPs who clawed their way up from various trades into national politics have, of course, always attracted attention. Men like the Littlemore stonemason Henry Broadhurst (1840-1911), who helped build the new Houses of Parliament before sitting there as a ‘working class’ Lib-Lab MP, achieved a celebrity status even in their own lifetime. Less well-known MPs who ‘rose from the people’ in the pre-1868 period, however, and especially those like John Wright Treeby (1809-82) who became Tories, remain far more obscure and unresearched. Treeby’s father was an itinerant builder. By 1808 he was working in Chudleigh in Devon, helping to rebuild the town after the ‘great fire’ of the previous year, which destroyed over half its 300 houses. Treeby, who was born there the next year, followed his father into business. By his late twenties he had started acquiring building plots on the St. John’s Wood estate in north-west London, where he soon became a pioneering builder of the new style of low-density dwellings (as opposed to terraces) that became known as ‘villas’. His more memorable developments included ‘Devonshire Villa’ at 26-28 Finchley Road, the last home of the famous poet Thomas Hood, and a grandiose ‘Elizabethan Villa’ at 44 Finchley Road. 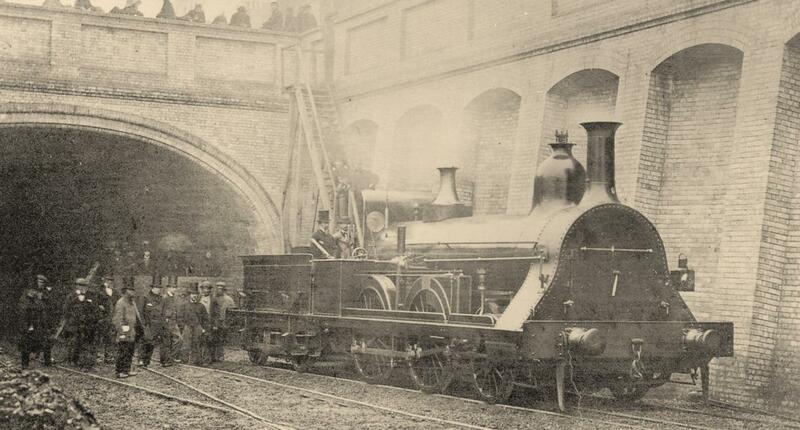 As well as building villas and speculating in land, Treeby also worked on the construction of London’s first underground railway, which opened in 1863. He was part of the original group that negotiated with the Metropolitan Board of Works and almost certainly assisted with the construction of its brickwork archways and sewers, structures in which he seems to have excelled. By 1859 he was sufficiently wealthy to consider entering Parliament. Armed with a letter of support from the Tory chancellor of the exchequer Benjamin Disraeli, he stood for the notoriously corrupt borough of Lyme Regis, where he had been buying up properties for development, only to find himself pilloried for his ‘bricks and mortar’ background and ‘taunted’ for having ‘risen from the people’. His willingness to bribe electors, however, led to a tie with his Liberal opponent, which the mayor then settled controversially by adding the vote of an elderly Liberal after the poll had closed. The mayor later blamed a slow-running watch for his error. Leaving nothing to chance, Treeby continued to cultivate the borough, purchasing its premier estate of Highcliff House and playing the role of local squire. Aided by his promises (and ability) to sort out the town’s sewage problems ‘free of expense’, and with the price of votes reaching £100, he narrowly beat another opponent at the 1865 election. Although Treeby loyally supported the Conservatives in the Commons, he was far from being mere lobby fodder. On a range of issues relating to the parliamentary and local government franchises he broke ranks and sided with the radical John Stuart Mill, speaking and voting for his amendments. He even managed to add a clause of his own to the Conservative reform bill, aimed at helping lower class electors. This forced overseers to publish lists of ratepayers who were in arrears and therefore at risk of losing their voting entitlements. Not all his initiatives went down well. His attempt to make the secret land deals made between ‘resident country gentlemen’ and railway companies public knowledge earned him a snobby rebuke from one of his Tory aristocrat neighbours, who inferred that he was plainly no gentleman. And when he again found himself at loggerheads with Disraeli over the 1868 Scottish reform bill, which threatened to transfer Lyme Regis’s parliamentary seat to Scotland, his protests got him nowhere, leaving him without a seat at the 1868 election. It says much about contemporary attitudes to men like Treeby that when he left the Commons most newspapers mistakenly assumed that he had been one of the Tory party’s Protestant fanatics, well known for their ‘lowest type of ignorance’ and ‘inability to make a decent speech, much less influence a single vote’. It would be a few more decades before MPs from similar backgrounds started to receive wider public recognition and a more positive press. ‘Villa Toryism’ has featured significantly in the history of Conservative middle-class voting after 1885. But the villas built by men like Treeby are also a reminder of the enduring appeal of working-class Toryism. Treeby’s recently completed biography is among those available on our 1832-68 preview site. For details about how to access this and all our other draft articles click here. This entry was posted in Biographies, MP of the Month and tagged Conservative, MP of the Month. Bookmark the permalink.